Johnny Meza has been performing and exciting audiences in the Valley for many years. I first discovered Johnny in the Desert Sage Restaurant in Old Town La Quinta around 10 years ago. I loved the way he played Keyboard and sang but most of all I loved his stage presence and the way he connected with everyone in his audience. Even though Johnny is a highly talented musician, he never developed a performer's ego. He is a truly kind and wonderful person who loves to perform for all audiences. He also has a great sense of humor. 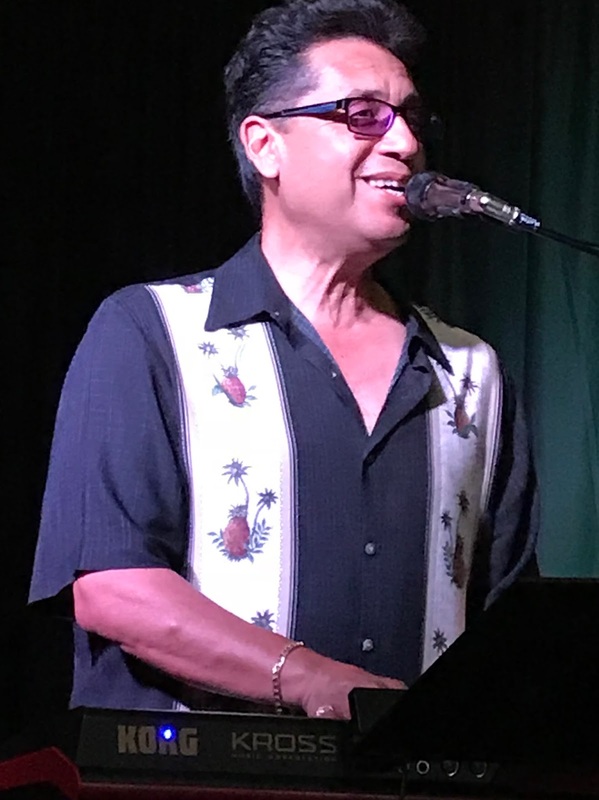 So if you love the best of the Pop tunes from years gone by and love to laugh, Chef George and Johnny Meza needs to be on your night out "To Do" List. Johnny performs every Tuesday night starting at 7:00 PM at Chef George's Picasso Room in Bermuda Dunes. The room is perfect for Johnny's style of performing. It's small enough so Johnny can reach out and touch everyone in the audience, and he does. Johnny talks to his audience between each song, about the songs and takes requests. His sweet spot is Pop tunes from the 50's through current Pop hits. He also included some of the best songs from the Great American Songbook. Chef George is located at 40100 Washington Street, Bermuda Dunes, CA. The food at Chef George is a mix of Hungarian and Italian. It's terrific and the portions are large but the prices are very reasonable. Call for reservations at 7670-200-1768. I have attached a "YouTube" of Johnny Meza playing and singing the popular hit he composed, "Dirty Martini" along with Will Donato on Sax. Enjoy!